Today's post comes from reader Chris, who was nice enough to share one of his other finds, "Christmas Cheer." 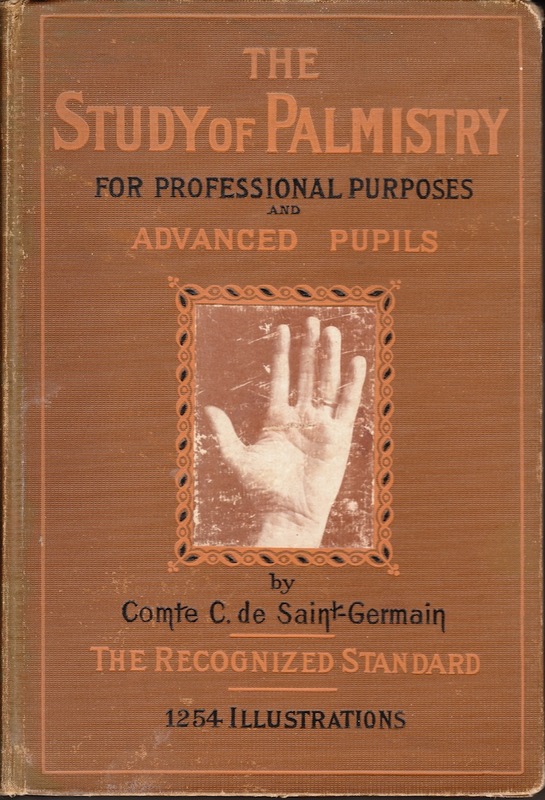 The book was owned by one 'Theodore R. Rollins'. It signed his name and dated it in 1941 on the inside front cover. On the inside cover there is a newspaper clipping regarding a French fortune teller La Voisin from the 1600's. Mr. Rollins later wrote a dedication of the book to his grandchildren in 1967 when he passed the book on to them. 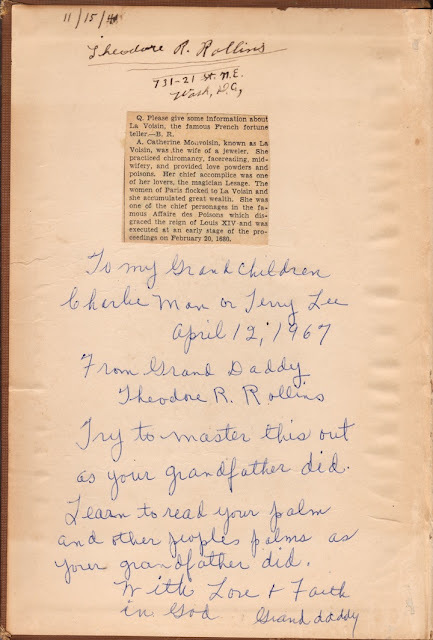 "11/15/41 Theodore R. Rollins 731-21 St. N.E. Wash, D.C. Try to master this out as your grandfather did. Learn to read your palm and other peoples palms as your grandfather did. with Love + Faith in God Granddaddy"
That is extremely cool! That book must have quite a story behind it! "A M. le Comte de St. Germain le grand Chiromancien qui a su me dire des choses si vraies! 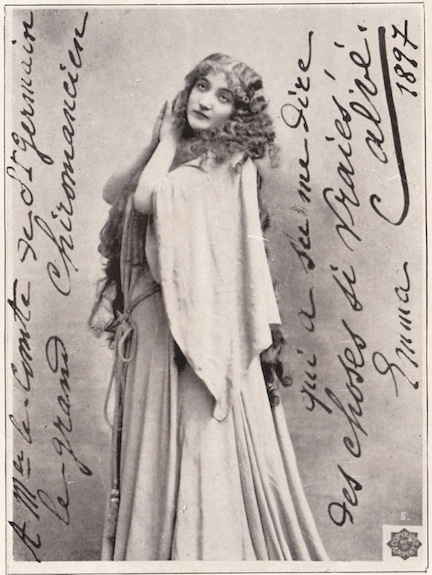 Emma Calvé 1897" = "To Messer le Comte de St. Germain, the great palm reader, who had such true things to say about me! 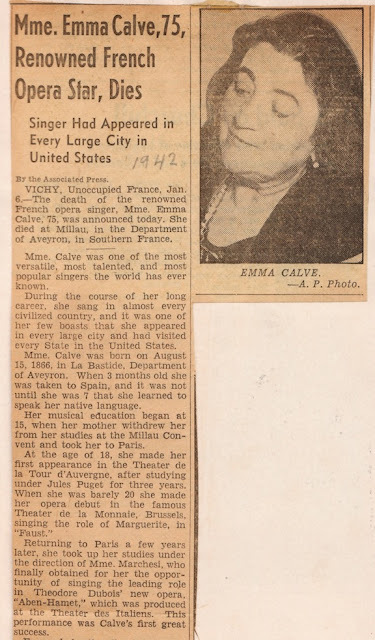 Emma Calvé 1897"
Very interesting to be able to trace the history of this book. That's so interesting, history found in that book.